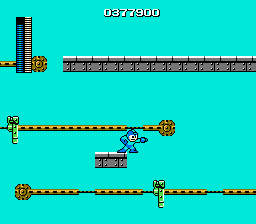 This is a level hack of Rockman 1. 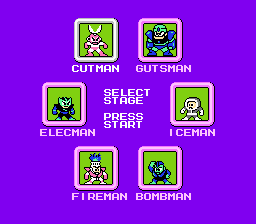 Weapon weaknesses of Robot Masters are also changed. This hack reminds me a bit of something Akitoshi Kawazu might make. NO! DON’T LEAVE JUST YET!!! I meant that in a good way! Chances are that you’ve played all or most of the Classic Mega Man games plenty of times, and plenty of hacks to boot. Some focus on new weapons, some on ASM hacks, some on level design, some on graphics, and some on any combination of the above. This one focuses on tinkering with the mechanics that already exist. From a mechanical standpoint, everything is put together in such an interesting way that really makes you not only think about how to use the tools available, but also learn more about how they work. This is prevalent not only in the level design, but also in bosses’ weaknesses. 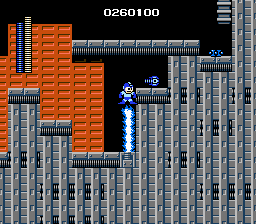 One good example is that would have been much less likely to notice that the Mega Man clone hops away from you every time that you press the attack button; here, it is a trick to exploit to make victory something other than agonizing. On the aesthetic side, there are new palettes for each of your weapons - Magnet Beam notwithstanding - and each of the stages, though a few do also get new tilesets. The new weapon palettes are all great, and while not all of the new level palettes are great, they are at least interesting. Even the way that the stages are put together is aesthetically pleasing. 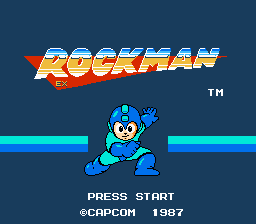 This may not necessarily be something that I’ll play again, but it’s something I’m glad to have experienced at least once, and I recommend that you do the same, if you are a Mega Man fan.